Learn how to build an IoT Bot. 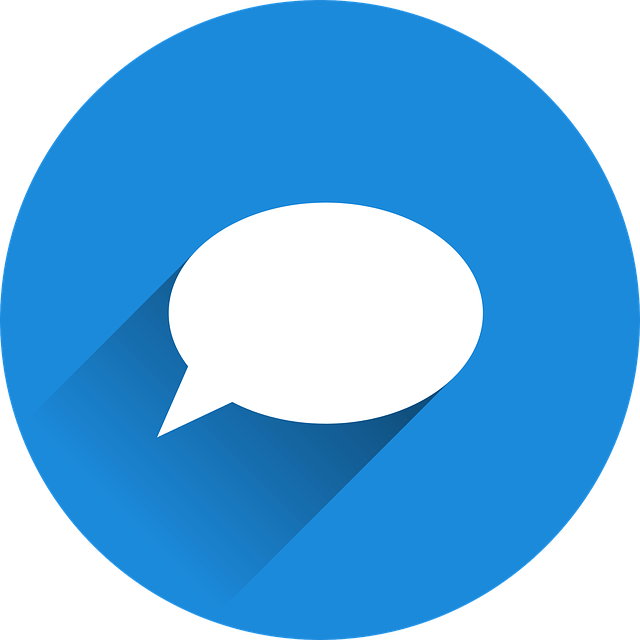 This practical guide describes how to build a Telegram Bot using Android Things to execute task. This IoT Bot guide covers how to build a Telegram Bot using Android Things bot to execute tasks. This is an interesting topic because it mixes two emerging technologies as Internet of Things (IoT) and bots. As you may know, Android Things is the new Google OS built for Internet of things. This OS helps you developing professional IoT projects without knowing much about embedded systems. 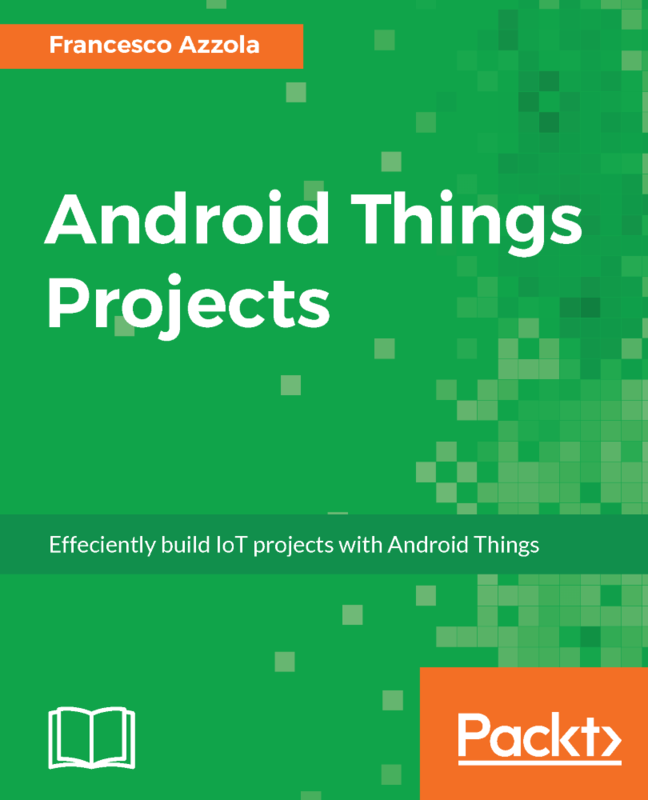 Android Things is built on Android so you can reuse your Android expertise and get ready to develop IoT projects. Moreover, you know already what is a bot. Maybe you heard a lot about this technology topic like chatbot, talking bot or even AI chatbot that uses the Artificial Intelligence. Anyway, if you are new to the concept, a bot is an application that executes automated tasks. In other words, it is a piece of software we develop to performs some specific task. These tasks can range from executing queries online to search for something, or answer to some command and retrieve the weather information. In this article, we approach the IoT bot topic implementing a different service that uses an IoT bot to control remote peripherals like LEDs. This IoT project integrates IoT and bot providing a service that can be extended and reused in real-life IoT project. In more details, we want to create a Telegram bot that is able to “understand” some basic commands and transforms them so that we can control a remote component connected to our board. If this is the first time you are using Android Things, you can follow this guide to know how to install it. The idea that stands behind this IoT bot (based on Telegram bot) project is controlling a remote peripheral using an IoT bot executing tasks. In this project, the Telegram bot will control two different LEDs connected to Android Things parsing incoming commands and turning them on or off. As stated before, this project can be further extended and applied to real-life use cases. 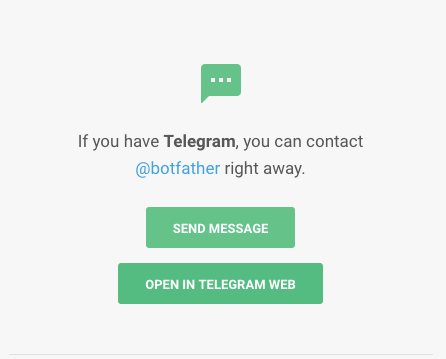 This project uses Telegram as a bot platform that supports third-party app running on the Telegram platform. To interact with the bot we use a chat where we send messages to the bot that are commands. Transform the command coming as messages to “hardware” command to control remote peripherals. We will develop this project using Android Things because it is a new OS and it offers great features. Moreover, we can use existing Android libraries in Android Things and there are several Telegram bot Java libraries ready to use. 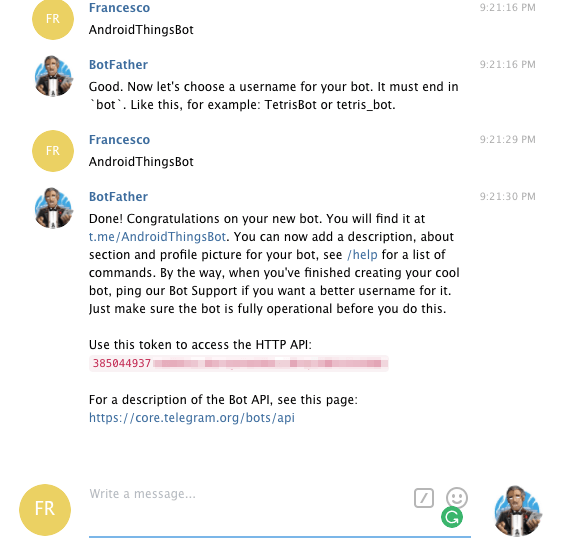 At the end of this process, the Telegram bot provides the HTTP API token that we will use in our Android Things app. That’s all our Telegram bot is ready to receive commands. The next step is implementing the Android Things app that interacts with the IoT bot based on Telegram. This Android Things app handles incoming commands and interacts with the peripherals. where the BOT_TOKEN is the token we have received during the creation step in the previous paragraph. In this way, as soon as the bot receives a message the Android Things app get notified and handle the command. Finally, the last step, where Android Things app interacts with the peripherals. For more information give a look at Android Things Raspberry Pinout. 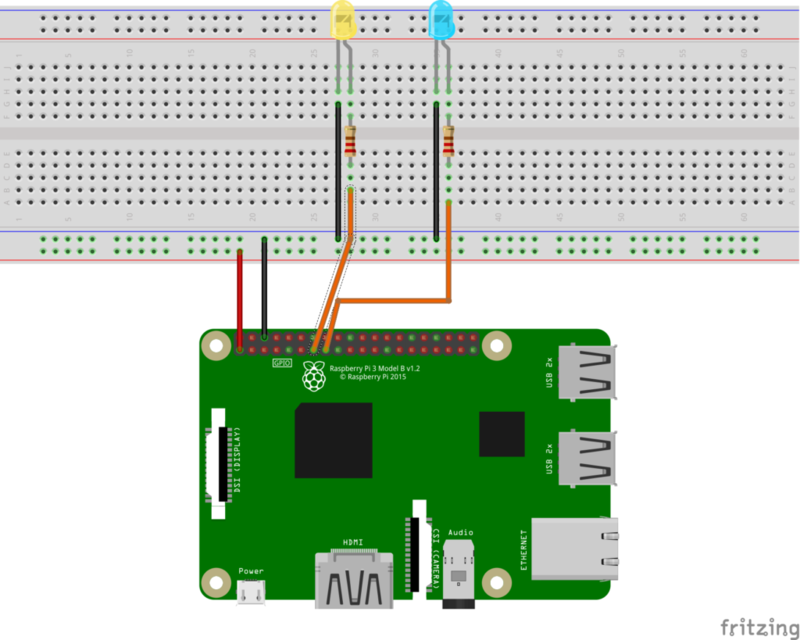 If you are new to Android Things you should read how to use GPIO Pins in Android Things to know more how to interact with external devices. Once the connections are ready we can focus our attention on developing the source code. As you may already know, the power of Android Things is abstracting the hardware where it works providing a common way to interact with components and peripherals. 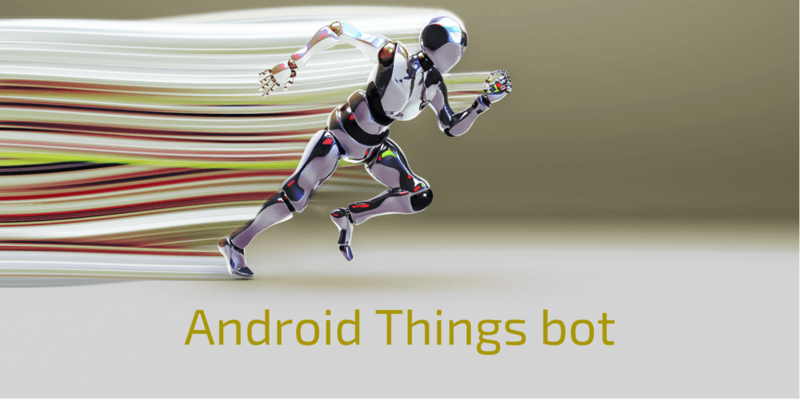 At the end of this post, we have covered an interesting topic that integrates two emerging technologies Android Things and bots. This Android Things IoT bot can be further developed so that it can handle more commands or it can interact with other kinds of peripherals. This is a prototype project but the idea that stands behind it can be exploited and applied to other fields.